I have recently developed an interest in retro chairs. Thanks for visiting my hub about hanging bubble chairs. I own one of these marvelous chairs, and my husband and I are very pleased with the way our new, modern home now looks. 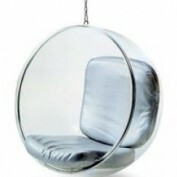 The Eero Aarnio hanging bubble chair is available for only $799.99. It is a classic, iconic piece of furniture which can change the look and feel of any room instantly. 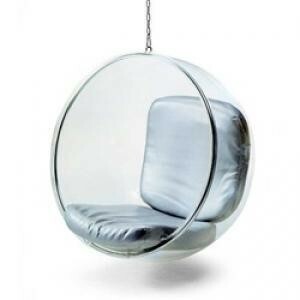 Find more information about the chair's designer and exceptional prices on more modern, stylish hanging chairs.